How would you like to design your Round Stickers? Print a different image on every single sticker at no extra cost – up to 52 different designs in a pack. Use round stickers on anything – seal envelopes in style, cover your notebook or add zing to promos. 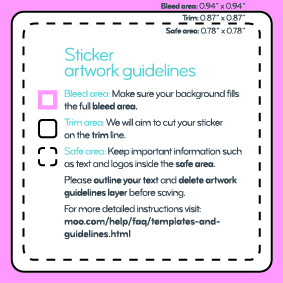 We offer print runs of just 52 Stickers – print what you want as you need it.